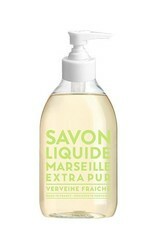 Our liquid Marseille soap is also available in plastic dispenser. Ideal for both small bathrooms and very clumsy hands. 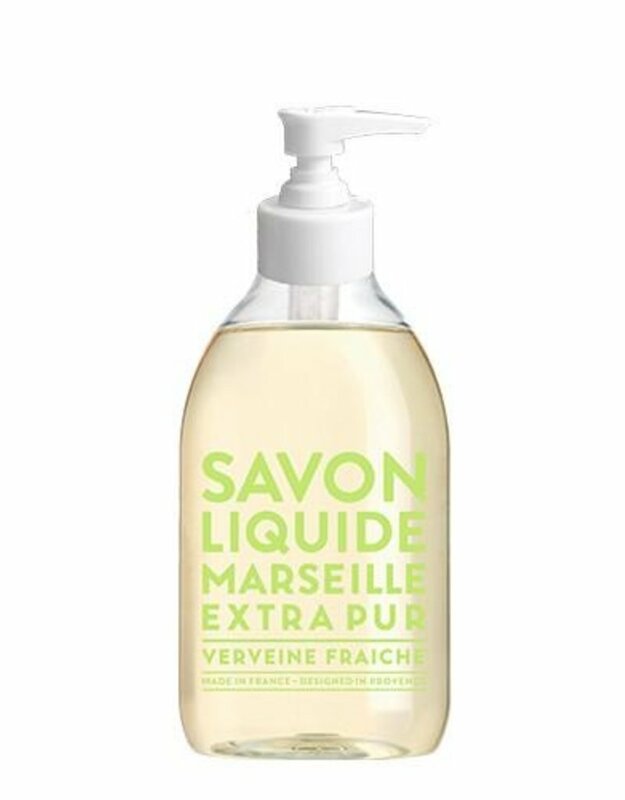 Made in a cauldron according to tradition, as does its ancestor, the authentic cube from Marseille, this liquid soap is elaborated with vegetable oils from Provence. This soap gently cleanses the skin. Scent: Fragrance with notes of delightfully fresh, lemony verbena, created in Grasse.